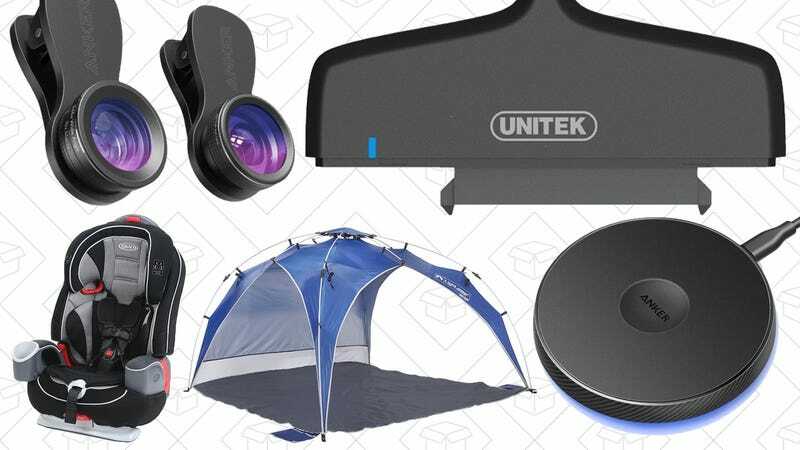 Graco baby gear, a pop-up sun shade, and a cable that turns your old hard drives into external storage lead off Thursday’s best deals from around the web. If you have any old 2.5" hard drives or SSDs lying around and gathering dust, this $8 cable can turn them into USB external storage. Sure, you could get an enclosure for about the same price, but come on, this looks way cooler. 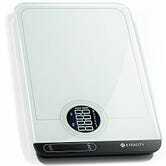 It’ll also work with your PS4 or Xbox One if you need more space to store games. If you can’t abide slow internet or modem rental fees, this is the bundle for you. 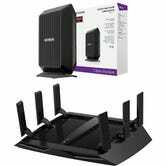 While supplies last, Amazon will sell you a powerful NETGEAR Nighthawk X6 router, plus a blazing-fast 32x8 cable modem (which is capable of download speeds over one gigabit per second) for $250. For comparison’s sake, the router alone is currently listed for $257, and the modem goes for $100, so you’re basically getting the modem for free. That’s quite a deal when you consider that modems usually pay for themselves anyway. 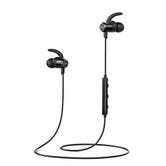 TaoTronics just released a new batch of Bluetooth headphones (including over-ears! ), and they’re all deeply discounted as part of a launch sale. They don’t have many, if any, reviews yet, but TaoTronics generally makes very good stuff, and these prices are unbelievable. 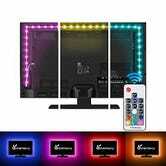 Bias lights can make just about any TV look better, and you can get a set for just a few bucks today on Amazon. If you aren’t familiar, Vansky’s LED bias light strips plug directly into your TV’s USB port for power, and stick to the back of the set via built-in adhesive. Once you turn your TV on, the light strip will cast a soft glow on the wall behind it, which can reduce eyestrain when watching in the dark, and improve your TV’s perceived black levels. We’ve posted deals on these several times now, but today’s $12 (RGB) and $12 (white) price points are some of the best we’ve ever seen. Just be sure to use code CCT8XE05 at checkout to get the deal. What’s better than a Quick Charge 3.0 charging port? A Quick Charge 3.0 port with five extra USB charging ports right below it. And what’s better than a Quick Charge 3.0 port with five extra USB charging ports right below it? 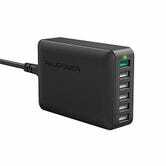 A Quick Charge 3.0 port with five extra USB charging ports right below it for just $24. 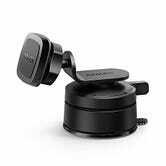 Nonda’s original Zus smart car charger was a one-of-a-kind device with two very poorly-placed USB ports, but the newly redesigned Quick Charge 2.0 model fixes that fatal flaw for just $13 with code KINJAD20. That’s a pretty great price for any Quick Charge car charger, but Nonda’s has some features you won’t find anywhere else. Most notably, your phone connects to the charger over Bluetooth, and every time the connection drops (meaning your car has turned off), a free app will make a note of your location so you can find your parking spot later. In addition, you can track your mileage for tax and expensing purposes (free for 60 drives per month, $3/month or $30/year for unlimited), and even monitor the health of your car battery if you sign up for a $1 per month premium subscription. Even if you don’t use those features though, this is well worth the $13 for the parking location feature alone. The past year or so has seen a deluge of Wi-Fi router innovation, and Portal seems to be one of the best newcomers in the space, particularly for smaller dwellings in congested, urban environments. 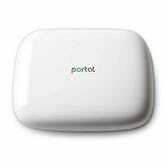 Portal includes app-based configuration, nine internal antennas, 802.11ac...table stakes these days for a good router. But while almost all home Wi-Fi routers limit you to public channels over 5GHz, Portal also opens up four so-called DFS channels that are typically reserved for military use and commercial radar. The law allows home routers to use these DFS channels, but they must shift off of them for a set amount of time whenever they detect active radar to avoid interference. Portal does just this, and moves all of your devices off of the busy channel in the background automatically, and shifts them back on when it’s safe. 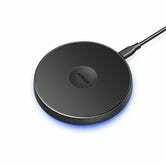 That means that most of the time, these channels are practically empty, so you won’t have to worry about interference from your neighbors’ Wi-Fi networks operating on public channels. This Digital Trends review has a much thorough explanation of the technology, if you’re curious. This router retails for $200, and has sold for around $175 on Amazon since it launched late last year, but for a limited time, you can try it out for $149. 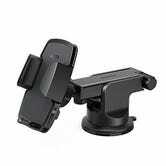 Mine will be here Friday. If you aren’t satisfied with the case situation for your iPhone 7, Anker’s selling a popular case and a 2-pack of glass screen protectors for $5 each today. 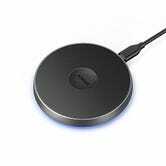 If your phone supports Qi wireless charging, it’s a great day to buy some new pads to scatter around your home and office, as Anker’s 5W and 10W PowerTouch pads are both on sale. Other than the maximum charging speed and a few very minor design differences, these are functionally identical. The headlining feature is an LED light ring on the bottom (which you can turn off, thankfully) which pulses to indicate whether your device is charging. Just note that not all phones can accept 10W wireless charging, and that these don’t include power adapters, so you’ll need to plug them into a USB charging port somewhere. 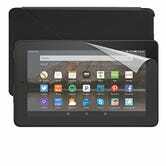 Amazon’s Fire Tablet doesn’t exactly feature bleeding edge technology, but hey, it’s a perfectly good portable TV screen and web browser for like $50. Today, you can get the upgraded 16GB version (which retails for $70), a case, and a screen protector all for $60 with promo code FIREBUNDLE. Yes, that’s $10 less than you’d normally spend on the tablet by itself. Your favorite USB car charger just happens to be the smallest one you can buy, and you can grab it on Amazon for $7 today with code AUKEYCAR. We’ve seen it go as low as $6 on a few occasions, but this is the best deal we’ve seen in a long time, if it’s been on your wish list. 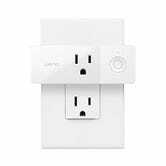 You can’t control these semi-smart power outlet switches with your phone, or automate them with IFTTT recipes like you can with Belkin’s WeMo line, but you can control them from across your house with a remote control, and they’re incredibly cheap today. Chevron Fuel System Cleaner 20 oz., $7. BOGO with mail-in rebate. Not only is this bottle of Chevon Techron fuel system cleaner within $1 of an all-time low on Amazon, this mail-in rebate lets you get a second bottle for free. Just buy two bottles in the same transaction, and fill out the rebate form on this page. Everyone should own a slow cooker, and more specifically, everyone should own a programmable slow cooker. If you’re going to be at work for nine hours, but your recipe only calls for six hours of cooking, these will automatically switch to warm mode at the time of your choosing, so you can walk in the door and enjoy a delicious dinner. 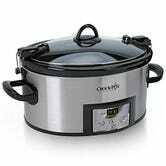 This 6-quart model from Crock-Pot is Amazon’s top seller, and $34 is a match for an all-time low. 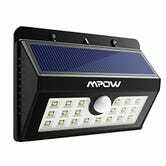 These incredibly affordable solar-powered LED lights do the impossible: They actually look really nice. The glass is cracked in a Pinterest-pleasing kind of way, the bulbs are recessed inside artificial candles, and they even flicker like real flames. At $10 for two, and with basically zero maintenance to worry about, why not class up your front yard? Anything that makes raising a kid just a little bit less expensive is a welcome relief, so Amazon’s tossing parents a lifeline with a one-day Gold Box deal onGraco car seats, strollers, cribs, and more. Graco’s known far and wide as one of the most trusted names in the baby space, so send this deal to your frazzled parent friends; they’ll be sure to appreciate it. If you think all shower caddies are the same, you obviously haven’t seen simplehuman’s. The shelves on this model can adjust up, down, and even sideways to make room for all of your grooming equipment, plus it includes two razor hooks on the side, and even dual suction cups to accommodate for uneven shower tiles. That’s a lot thought put into a household item that you’ve never thought about, and it’s $10 off today on Amazon. The Char-Broil patio bistro squeezes an infrared gas burner into the footprint of an electric grill, meaning you can enjoy high temperatures and even heating on even the smallest patio or balcony. 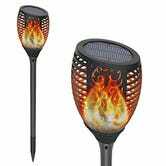 It typically sells in the $115-$130 range, but you can get it for just $100 today, just in time for barbecue weather. You need a kitchen scale, and while we’ve seen dozens of deals on cheap kitchen scales over the years, but I think this is one of the best looking ones yet. The entire top surface is a flat pane of glass, including the LCD display, making cleanup a breeze. 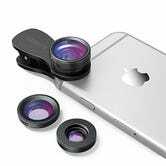 Update: Now available for $28 from B&H. Not only is the new WeMo Mini Smart Plug smaller than the top-selling original so as to only cover one outlet, it’s also cheaper. You’ll almost always see it available for $35, but today on Amazon, it’s knocked down to $30. 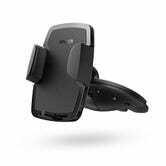 No matter how you prefer to prop up your phone in the car, Anker makes a mount for it, and four different models are on sale today. 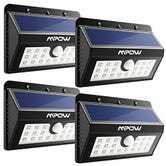 I’m most intrigued by this $9 dashboard model, which combines the ease and minimalism of a magnetic mount without blocking a vent. 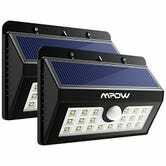 Without any wiring to futz with, Mpow’s solar-powered, motion-sensing spotlights are the easiest way to illuminate your front porch or lawn, and a bunch of different configurations are on sale today, including two different sizes of lights. All of the promo codes are below, just note that the more lights you buy, the more you’ll save. Contigo’s Autoseal West Loop travel mugs are a longtime reader favorite, but the similar SnapSeal Superior is marked down to an all-time low $10 today on Amazon. Unlike the West Loop, the SnapSeal’s lid doesn’t open and close automatically, though many reviewers say it’s easier to clean. It also includes a handle, which is a nice touch at this price. 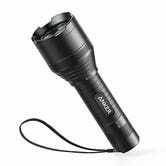 Anker, producer of a lot of your favorite charging gear, has its own line of flashlights now, and all three are on sale today for the best prices we’ve ever seen. 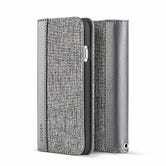 The cheapest model is IP65 dust and water resistant, but actually doesn’t include a rechargeable battery. 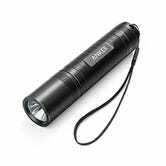 However, you can run it on three AAAs or a single rechargeable 18650 battery, which are cheap and easy to find. 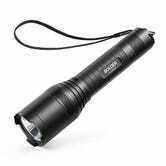 The next step up is far brighter (900 lumens vs. 400), and includes a rechargeable battery and a microUSB port, while the most expensive model is brighter still at 1300 lumens, and is IP67 rated, meaning you could even use it underwater. Whichever model you choose, just be sure to note the promo codes below. 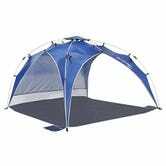 Winter had one last hurrah this week, but warm weather is just around the corner, and you can enjoy it to the fullest with this pop-up sun shade. This canopy is only 50" long when collapsed, but it pops up in seconds, and provides you with 8' x 8' of shaded space. Plus, its included sand bags and stakes make it perfect for the beach. Today’s price is the best Amazon’s offered since 2015, so even if you don’t have an outdoor excursion on the immediate horizon, this might be worth picking up. Right now, Nordstrom Rack is having a pretty extensive Adidas sale, with discounts on shoes for men and women, bags, and tons of socks, plus men’s activewear, and kids’ sizes. With prices this low, these will go fast, even before the sale itself ends in three days. It’s not quite Clear the Rack, but it is an extra 25% off select discounted items from Nordstrom Rack (prices reflect discount). This one is a sale full of winter staples, like outerwear, boots, and cold weather accessories, plus some other random pieces thrown in as well. End of the season means discounts, just in time for you pack them away for next winter. Update 2: Here’s the full list of eligible bouquets. Sorry about all the confusion. If the promo is showing up in your checkout, but isn’t working, try and reenter it. Update: We’re working on figuring out why the code has stopped working. In the meantime, CHEERFUL still works for 15% off. The Bouqs is probably the best place to use when sending flowers right now. The bouquets are unique and the blooms are harvested from the side of a freakin’ volcano. And right now, you’ll be able to get double the flowers for free, plus 15% off the entire site. Just choose the Deluxe size of any non-seasonal bouquet, use the codes DOUBLEBLOOM and CHEERFUL at check out and get it for the price of the Original size, plus 15% off. FYI: Looks like the DOUBLEBLOOM only works on non-seasonal bouquets, so go for the ones listed under Popular. PUMA has made some very strategic moves to stay relevant, but they also have managed to stay pretty true to what they’re known for. An extra 20% off sale styles with the code SPRING20 from PUMA doesn’t mean unwanted styles or badly reviewed items. Their sale section is chock full of 5-star rated sneakers and apparel, with some classics mixed in as well. A couple weeks ago, I would’ve laughed if you told me that winter wasn’t done yet, and now, here we are. The East Coast is recovering from a nor’easter and Uniqlo is giving you $10 off their Ultra Light Down coats, vests, and parkas for men and women. All the products included in the discount are marked, so maybe you’ll be ready for the next random act of weather. The Mass Effect hype train is going faster than light right now, and ThinkGeek is hopping aboard with 20% off apparel and accessories sure to please every Shepard and FemShep in the galaxy. Inside, you’ll find gear to represent both N7 and the Andromeda Initiative (though not Cerberus, hmm). Practice your “Namaste” and get in touch with your muscles with this $22 yoga gift set that includes a mat, towel, and block. That’s basically the price of one good mat by itself. Choose between periwinkle and aqua verde (which sounds more like a chip dip than a color, but I digress). Another day, another J.Crew Factory markdown. This time, get an extra 30% off all clearance styles with the code EXTRA30. J.Crew Factory is basically always on sale, but it works even better when they have extra discounts, so if you haven’t stocked up on workwear staples and outwear galore, maybe this one will change your mind. $5 Off Sonicare Brush Heads. Discount shown at checkout. Our readers have purchased a ton of Sonicare toothbrushes over the years, so today, it’s time to stock up on replacement brush heads. Pretty much every style Sonicare makes is $5 off, just remember that you won’t see the final price until checkout. I have painful, yet fond memories of my college’s Athletic Trainer using one of these on my thigh after I suffered a strained quad. They are hell while using it, but heaven afterwards. And for $10 when you use the code KINJA604, this muscle roller can help further your love-hate relationship with working out. 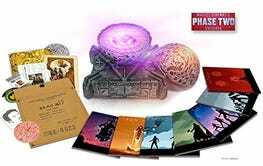 This set overflows with stunning Marvel Studios memorabilia, including a gold-foiled page from the book of the Dark Elves, an ancient drawing from the Morag vault, Avengers and S.T.R.I.K.E. uniform patches, a replica of the Tony Stark tattoo from Iron Man 3 and much more! Packed with over 2 1⁄2 hours of content on an exclusive bonus disc, including never-before-seen Deleted & Extended Scenes, the complete set of Marvel One-Shot films and Commentary, From Here to Infinity: Phases 2 and 3 of the M.C.U., Tag Scenes: A Making-Of, Screen Test with Chris Pratt and Dave Bautista and more, this ultimate collection is a Marvel fan’s dream! Superbad was one of the great movies of the aughts, and hilariously helped launch the careers of an Academy Award winner in Emma Stone, and an Academy Award nominee in Jonah Hill. You won’t need a fake ID to get the unrated extended edition for just $7 on Amazon today. 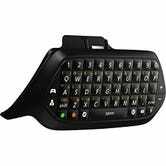 The Xbox One Chatpad makes it easy to enter passwords and type out sick Rocket League owns on the fly, and it’s never been cheaper on Amazon than it is right now. It even includes a headset!